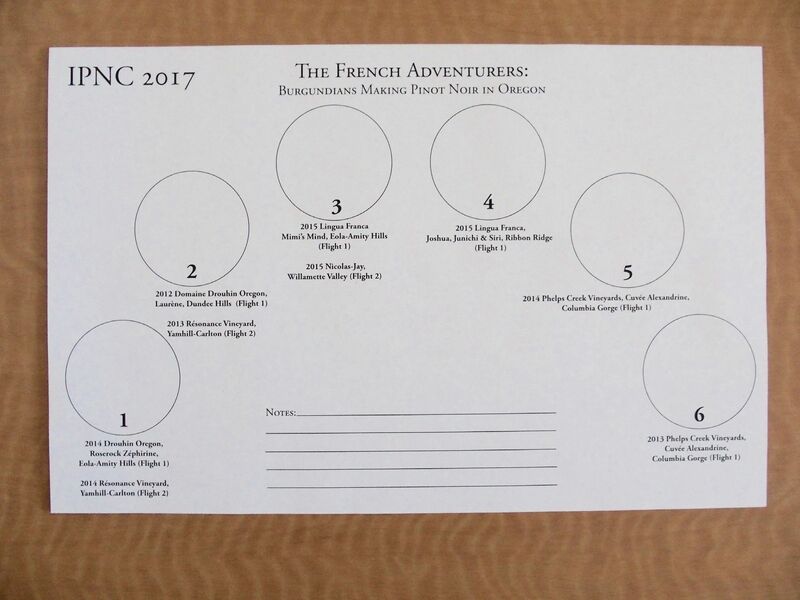 The Grand Seminar was titled, “The French Adventurers: Burgundians Making Pinot Noir in Oregon.” The Burgundian entry into the Oregon wine business began in July 1987, when Véronique Boss-Drouhin’s father, Robert Drouhin, the Chairperson of Maison Joseph Drouhin, looked at Véronique while in the Dundee Hills of Oregon, and said, “Let’s try to make wine here. I believe in this place. Véronique says now, “In 30 years, the journey has been as challenging as it has been a fascinating adventure.” It would be twenty years before other French adventurers became committed to Oregon, but the wave of Burgundian enthusiasm for Oregon is now rapidly taking shape. Why Oregon and not California? The French have always had a close relationship with Oregon, beginning with the early Oregon vintners such as David Lett, Charles Coury and David Adelsheim, who traveled to Burgundy to study and established relationships that laid the ground work for future affiliations. Oregonians have always relished Burgundian influence, have been very receptive to the Burgundy vignerons, and the Burgundians have in turn participated with regularity in the Oregon Steamboat Conference and the IPNC.The midpoint of the Willamette Valley lies at 45 degrees north latitude, the same as for Burgundy’s Côte d’Or, so that vintages in Oregon tend to parallel those in Burgundy. In addition, the French often dismiss California’s climate as too hot for Pinot Noir (this was alluded to in the Seminar by the French), finding more value in savoriness, acidity, and texture felt to be lacking in many California fruit driven Pinot Noirs. The French are intrigued with the opportunity in Oregon because they can take their knowledge from crafting Pinot Noir in Burgundy and apply it to a new region. They have more freedom to experiment including blending grapes from different vineyards. There also is the attraction of building something meaningful from scratch. There are very few opportunities in Burgundy to launch and grow new projects. Recent investments in Oregon vineyard land have pushed up prices, but the cost of vineyards is still affordable compared to prime Burgundy plots. Finally, Oregon has a consistently sunny summer (sometimes it rains in Burgundy in July and August), there is less concern about botrytis and essentially no threat of hail, two common challenges in Burgundy. 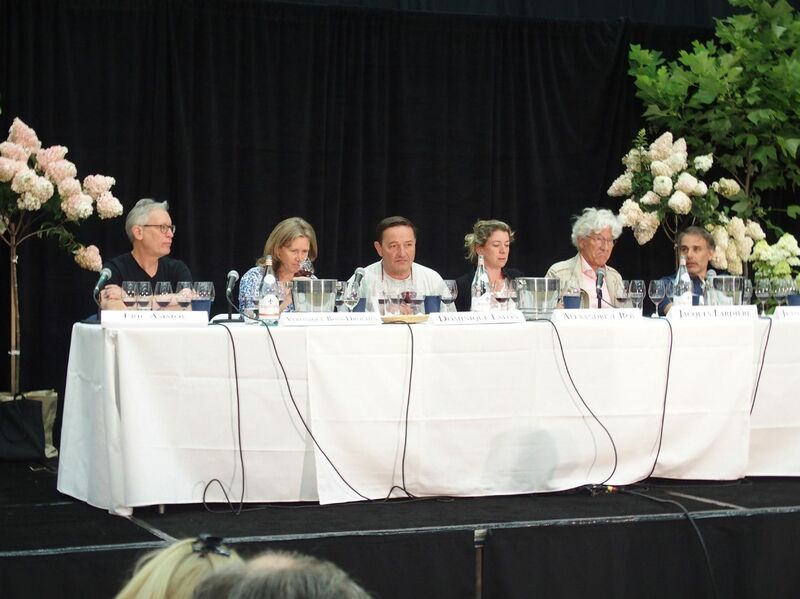 The panelists for the Grand Seminar (left to right), Moderator Eric Asimov of The New York Times, Veronique Boss-Drouhin of Domaine Drouhin Oregon, Dominque Lafon of Lingua Franca, Alexandrine Roy of Phelps Creek Vineyards, Jacques Lardiére of Résonance Vineyard, and Jean-Nicholas Meo of Nicolas-Jay. Each panelist offered two wines from their respective wineries as indicated on the table mat below. I must say, all the wines were superb examples of Oregon Pinot Noir, making for one of the most memorable tastings ever at an IPNC Grand Seminar. Following is a brief synopsis of each panelist’s winery. Robert Drouhin, the Chairperson of Maison Joseph Drouhin from 1957 to 2003, visited California in 1961. He met with Robert Mondavi who suggested investing in California, but Robert Drouhin’s interest was Pinot Noir and California had not achieved success with that variety by then. He realized he would have to look elsewhere. In 1979, Robert Drouhin set up a blind tasting of French Burgundies versus their American Pinot Noir counterparts. At this now famous Gault-Mileu tasting held in Paris, a 1959 Domaine Drouhin Chambolle- Musigny came in first, but David Lett’s 1975 The Eyrie Vineyards South Block Reserve took second. This impressed Robert who was struck by the resemblance of the Willamette Valley to the Côte d’Or and the wines produced by Oregon’s pioneering Pinot Noir winemakers. Robert initiated the purchase of 100 acres in the Dundee Hills overlooking the town of Dundee by Maison Joseph Drouhin in 1987, making the Drouhin family the first Burgundian winemakers to invest in Oregon. Robert chose his daughter, Véronique, part of the fourth generation of the Drouhin family and a 1985 graduate of the University of Dijon, to direct the new project in Oregon known as Domaine Drouhin Oregon (DDO). Véronique oversaw the initial planting of high-density vineyards in 1988, and crafted the first three vintages, 1988 to 1990, from purchased grapes. More land was acquired bringing the total to 225 estate acres, 90 of that planted to Pinot Noir and Chardonnay. Véronique-Boss Drouhin is a long distance winemaker, continuing to live in Beaune, but traveling to Oregon frequently to oversee the winemaking at Domaine Drouhin Oregon. Phillipe Drouhin, Véronique’s brother, has managed the DDO vineyards that are among the most densely planted in the United States from the beginning. DDO is one of the few vineyards in the United States to cultivate their own rootstocks and propagate all their own plant material by selection massale. In December 2013, the Drouhin family more than doubled their Oregon vineyard holdings with the purchase of the 279-acre (111 acres planted) RoseRock Vineyard in the Eola-Amity Hills AVA. The clever Domaine Drouhin tagline, “French soul, Oregon soil,” could apply to all the wineries participating in this seminar. 2014 Drouhin Oregon RoseRock Zéphrine Eola-Amity Hills Pinot Noir $60. Reviewed 11/19/16 in PinotFile - score 91-92. 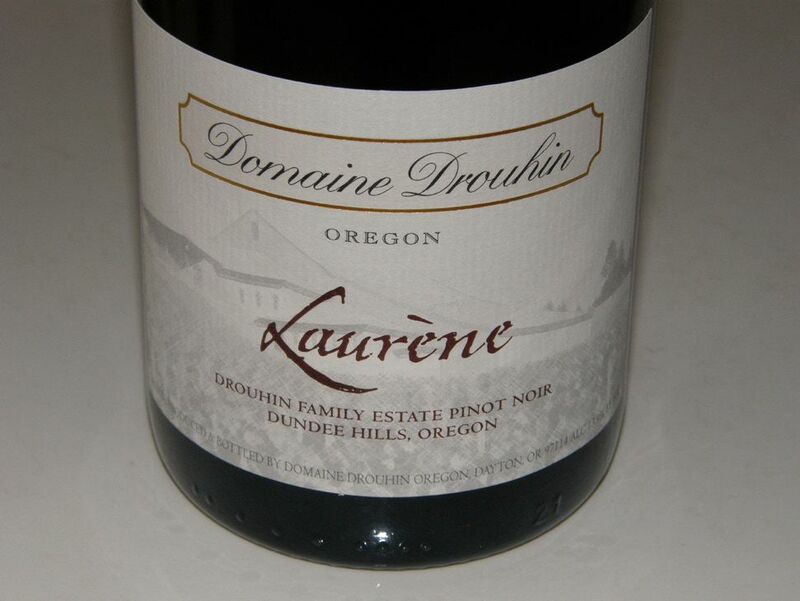 2012 Domaine Drouhin Oregon Laurène Dundee Hills Pinot Noir $70. Reviewed 11/19/16 in PinotFile - score 94. Note: Domaine Drouhin Oregon released this year a Édition Limitée Dundee Hills Chardonnay and Édition Limitée Dundee Hills Pinot Noir, and my reviews are included here. Master Sommelier Larry Stone, a native of the Pacific Northwest, has now achieved his dream of owning his own vineyard and producing Pinot Noir in Oregon. Stone (pictured below at IPNC) was the ninth Master Sommelier in the United States and was the first American to win the prestigious Best International Sommelier in competition in Paris, France. He left the restaurant business in 2006 (he had been a sommelier at Rubicon, Charlie Trotter’s and the Four Seasons) to manage Evening Land Vineyards in Oregon where French vigneron, Dominique Lafon, was the consulting winemaker. Larry sold his personal wine collection, and with the assistance of friends, family and a major investor, David Honig, who is a successful attorney with experience in the wine business, bought a vineyard site (tentatively named LFV Estate Vineyard) in the Eola-Amity Hills and planted 66 acres to Pinot Noir and lesser amounts of Chardonnay. The vineyard is ideally located near Evening Land’s Seven Springs Vineyard, Argyle Winery’s Lone Star Vineyard, Domaine Drouhin’s RoseRock Vineyard and Domaine Serene’s Jerusalem Hill Vineyard. Beginning in 2017, the estate vineyard will be farmed with the assistance of viticulture specialist Mimi Casteel (Bethel Heights Winery). A large, modern winery was constructed and completed in 2016 in collaboration with Burgundy icon and consulting winemaker Dominique Lafon (pictured above at IPNC). Lafon works closely with Stone and winemaker Thomas Savre, a graduate of Dijon University whose experience in Burgundy includes Domaine de la Romanée-Conti and Domaine Dujac, and in Oregon where he was an assistant winemaker at Evening Land. Lafon has been a long time booster of Oregon wines, having attended the first IPNC in 1986. I visited the winery on the estate property before IPNC. It is still undergoing finishing touches but is a magnificent facility with a bank of ten large stainless fermenters along one wall and a similar number of concrete fermenters lining another wall. The inside has very high ceilings and the walls are constructed of 18” thick concrete for insulation. The winery’s first wines were released from the 2015 vintage (produced at Coehlo Winery using purchased grapes). The estate vineyard first harvested fruit came in 2016 and make up the 2016 Lingua Franca Coeur Libere Rosé de Pinot Noir. Lingua Franca has been leasing a 5-acre vineyard, Bunker Hill, in Salem, with Dijon 76 Chardonnay clone planted in 1995 on Nekia soil for the core of the winery’s Chardonnay production. 2015 Lingua Franca Mimi’s Mind Eola-Amity Hills Pinot Noir $90. 2015 Lingua Franca Joshua, Junicki & Siri Ribbon Ridge Pinot Noir $50. Reviewed 6/25/17 in PinotFile - score 93. 2016 Lingua Franca Coeur Libere Eola-Amity Hills Rosé de Pinot Noir $22. Lingua Franca Estate Vineyard. Everything you can ask for in a Pinot Noir Rosé with a perfume of fresh red berries and flavors that fall in step. Bright, clean and refreshing. Easily the best Rosé I tasted during this trip to Oregon. 2015 Lingua Franca AVNI Willamette Valley Chardonnay $40. Sourced from 8 vineyards. A more fruit-driven and exuberant style, yet offering vibrant acidity along with a subtle underlay of nutty oak. Reviewed 6/25/17 in the PinotFile - score 93. 2015 Lingua Franca Sisters Eola-Amity Hills Chardonnay $90. Sourced from 4 vineyards but primarily 20- year-old vines at Bunker Hill Vineyard where clone 76 is planted in Nekia soil. A much more serious and high-collared wine that speaks more of minerality and acidity than fruit. 2015 Lingua Franca Joshua Junichi & Siri Ribbon Ridge Pinot Noir$50. Sourced from Redman Vineyard. 50% de-stemmed and 50% whole cluster. A carbonic nose filled with spice and burnt tobacco notes and a charming core of fresh raspberry and cherry fruit flavors. Seductive. Reviewed 6/25/17 in the PinotFile - score 93. 2015 Lingua Franca AVNI Eola-Amity Hills Pinot Noir $40. A regional blend sourced from neighboring vineyards. A savory wine with the essence of black cherry embellished with notes of oak and herbs framed by firm tannins. 2015 Lingua Franca Tongue ‘N Cheek Eola-Amity Hills Pinot Noir $60. Sourced from Elton Vineyard with vines planted in the early 1970s. Pommard and 115 clones. The wine has a good structural backbone and very appealing black cherry and black raspberry fruit flavors. Streamlined and easy to like with a thoroughly satisfying finish of uncommon length. Reviewed 6/25/17 in the PinotFile - score 94. 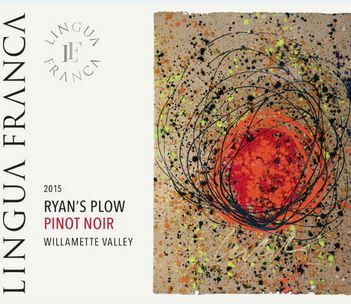 2015 Lingua Franca Ryan’s Plow Willamette Valley Pinot Noir. $60. Sourced from Seven Springs Vineyard (Calera clone) and Black Walnut Vineyard (Pommard and 667 clones). Modest whole cluster. A combination of vibrant cherry and berry fruit and spice aromas and flavors that have remarkable mid palate presence. An appealing earthiness is boundless. Finishes strong with uplifting cherry notes. Reviewed 6/25/17 in the PinotFile - score 94. 2015 Lingua Franca Mimi’s Mind Eola-Amity Hills Pinot Noir $90. Named after Mimi Casteel, the winery’s viticultural advisor. Sourced from Mimi’s vineyard that has soil similar to Lingua Franca estate vineyard. 20% whole cluster. The most primary wine in the lineup featuring gobs of black fruits, a velvety mouthfeel, and muscular skin and stem tannins. Drink now with a steak but better to wait. Eventually this will be a “Wow!” wine that can be the centerpiece of a dinner. This project is one of the most impressive new launches on the Oregon Pinot Noir scene. I reviewed several of the 2015 Pinot Noir and Chardonnay releases in a recent issue of the PinotFile. I also visited the winery prior to IPNC where I was hosted by Larry Stone. He is a very warm and humble individual who patiently poured all the Lingua Franca wines currently offered accompanied by considerable insight and commentary. These highly desirable wines are sold on the website at www.linguafranca.wine, with magnums available at the winery. Phelps Creek Vineyards was founded in 1990 in Hood River, Oregon, by Robert Morus, a Delta Airlines captain. The property is a 77-acre, steeply slopped site with stunning views of Mount Hood. The 34-acre vineyard is planted to own-rooted and grafted Pinot Noir, Chardonnay and Pinot Gris. The initial Pinot Noir plantings (Pommard, 777 and 115 clones) date to 1990 and Chardonnay plantings (75 and 76) to 1992. Alexandrine Roy, of Domaine Marc Roy in Gevrey-Chambertain, (pictured below at IPNC) a fourth-generation winemaker, joined the winemaking team as a contributor in 2007. By 2012, she had become the Director of Winemaking in charge of all wine production. Alexandrine typically visits the winery 3-4 times each year, focusing on applying traditional French winemaking techniques to Phelps Creek’s limited production wines. Her signature style is offered through Cuvée Alexandrine, Phelps Creek’s flagship Pinot Noir, “Beehive” Pinot Noir, Fleur de Roy, a Rosé of Pinot Noir, and “Corduroy,” a Pinot Noir Blanc. Alexandrine is one of the few Burgundians to faithfully attend IPNC every year. The Phelps Creek tasting room in Hood River is open daily. The wines are also sold through the website at www.phelpscreekvineyards.com. See the PinotFile for many reviews of Phelps Creek Vineyards wines. 2013 Phelps Creek Vineyards Cuvée Alexandrine Columbia Gorge Pinot Noir $54. Reviewed in the PinotFile 5/25/15 - score 92-93. 2014 Phelps Creek Vineyards Cuvée Alexandrine Columbia Gorge Pinot Noir $54. Reviewed in the PinotFile 2/1/17 - score 96. 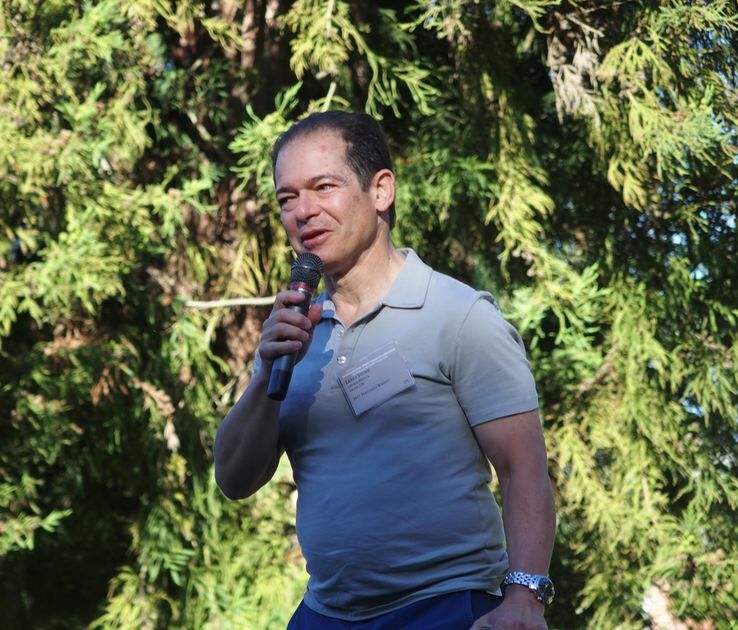 Jacques Lardière (pictured below at IPNC) was the winemaker at Maison Louis Jadot for 42 vintages, handing over the reigns in 2013 to Thibault Gagey, the son of Pierre-Henry Gagey, the president of Louis Jadot. Jadot had decided to invest outside Burgundy to expand its business and chose Oregon after several visits because of the availability of the appealing Résonance Vineyard and the fact that the United States is a significant market for Jadot wines. After retiring, Lardière moved to the Willamette Valley to craft the Résonance wines, named because the vineyard marked the departure point of a new adventure. There has been a tremendous amount of ballyhoo regarding Résonance. Résonance Vineyard was owned by Kevin Chambers, who sold grapes to Sineann and Big Table Farm and made wine under the Resonance label. It is an own-rooted 22-acre vineyard on 32 acres in the Yamhill-Carlton AVA planted in 1981 primarily to Pinot Noir. Some existing Gewürztraminer was grafted over to Pinot Noir by Louis Jadot, and Chardonnay may be produced from the site in the future. 2013 was the first vintage of Résonance Pinot Noir vinified under Jadot ownership. Résonance is Maison Louis Jadot’s first venture outside the United States since their inception in 1859, and the first vineyard purchased outside France since 1826. The Résonance Vineyard is protected from inclement weather and wind on all sides and is a warm, dry site as a result. The vines are own-rooted and dry-farmed. Pinot Noir plantings include 10 acres of Pommard (1981 and 2006), 7 acres of Wädenswil (1987 and 2006), 2 acres of 777 (1995). Louis Jadot also bought a 17 acre site in the Dundee Hills AVA in 2014 with 7 acres planted to Pinot Noir. Wine from this site will be called Découverte with the first release from the 2014 vintage. The wines are made by young Burgundian winemakers under the supervision of Lardrière who is very prone to say, "Very interesting you know." The first two vintages, 2013 and 2014, were produced at Trisaetum and will continue until a planned winery located next to Résonance Vineyard is constructed. 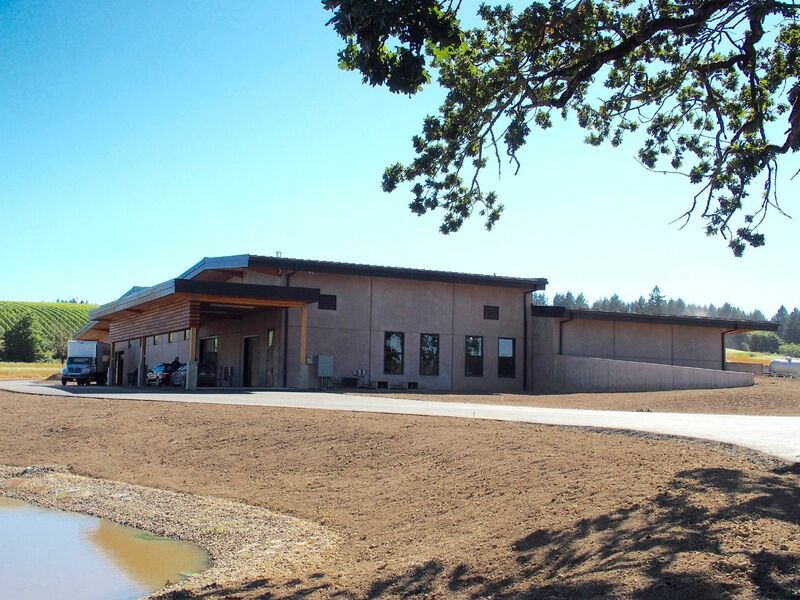 The winery has also offered a Hyland Vineyard Chardonnay, a Découverte Vineyard Pinot Noir and a Willamette Valley Pinot Noir. No website. Distributed by Kobrand Wine & Spirits. 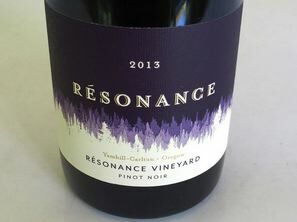 2013 Résonance Vineyard Yamhill-Carlton Pinot Noir $65. Reviewed 11/19/16 in PinotFile - score 90. 2014 Résonance Vineyard Yamhill-Carlton Pinot Noir $65. 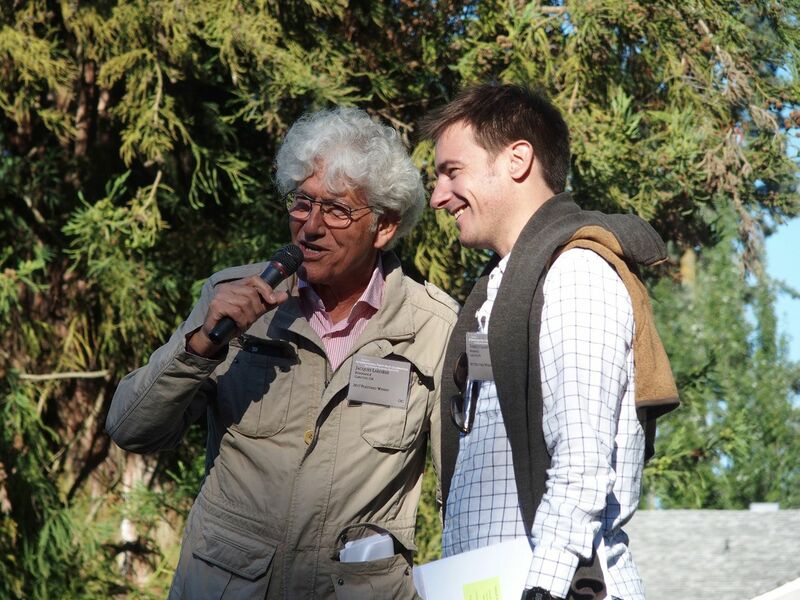 In 2012 Jean-Nicolas Méo partnered with his friend of three decades, visionary music entrepreneur Jay Boberg, to found Domaine Nicolas-Jay (Nicolas left, Jay right in photo below). Jean-Nicolas has worked with legendary sites such as Richebourg, Clos de Vougeot, Corton Clos Rognet and Échezeaux at his winery in Burgundy, Méo-Camuzet. 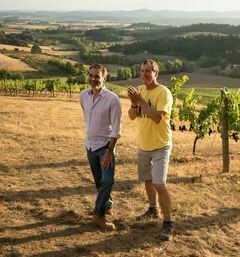 Given their shared love of Pinot Noir and their common goal to build something lasting, in 2012 Jay and Jean-Nicolas bought the organically-farmed, 13.5-acre Bishop Creek Vineyard located in the Yamhill-Carlton AVA. This site has a diversity of soils, clones and elevations. To complement the exceptional estate fruit, Jay, Jean-Nicolas, and associate winemaker Tracy Kendall (formerly of Adelsheim) have established relationships with famed vineyards through the Willamette Valley, including Nysa, Momtazi, Zenith and Knight’s Gambit. Jean-Nicolas now spends nearly two months in Oregon each season traveling throughout the spring, summer and harvest to oversee viticulture and winemaking. Jay spends up to 6 months each year in Oregon working in the vineyard and winery alongside the winemakers. The 2014 Willamette Valley Pinot Noir was their debut wine, followed by two limited single-vineyard designates. For more information, visit www.nicolas-jay.com. 2015 Nicolas-Jay Willamette Valley Pinot Noir $65. Reviewed 6/25/17 in PinotFile - score 94. Beaux Fréres Maisons & Domaines Henriot, owner of Henriot Champagne, has bought a majority stake in this winery. Chapter 24 Mark Tarlov left Evening Land and started his second winery, Chapter 24. He joined with Viscount Louis-Michel Ligier-Belair in Vosne-Romanée. Three cuvées are offered: The Fire, The Flood and The Last Chapter. Cooper Mountain Vineyards Gilles de Domingo is a French-born winemaker, trained in Bordeaux, France, who made wine throughout the world before settling in the Willamette Valley. DePonte Cellars and 1789 Wines Isabelle Dutartre worked with Véronique Drouhin-Boss in Burgundy, followed her to Oregon in 1989, worked with her in Oregon and Beaune for many years, and became head winemaker at DePonte Cellars in 2001. Elton Winery, Lavinea Winery Isabelle Meunier initially came to Oregon in 2007 to oversee Evening Land Vineyards winemaking for Dominique Lafon, leaving that winery in 2014. 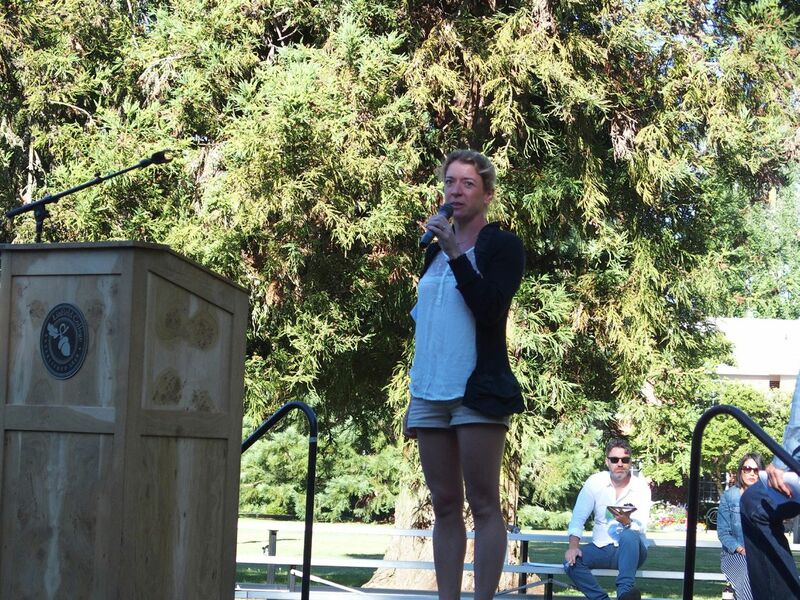 She is now the consulting winemaker for Willamette Valley Vineyards new Elton Winery. Her own label, Lavinea Winery, features single vineyard wines. Hyland Estates, Soléna Estate and NW Wine Company. Laurent Montalieu is a Bordeaux native who has been making wine in Oregon for over 28 years. Double Zero Winery Lea Lafon, the daughter of noted vigneron Dominque Lafon, is the winemaker. Torii Mor Winery Jacques Tardy represents the eight generation of a Burgundian winemaking family from Nuits-Saint-Georges. 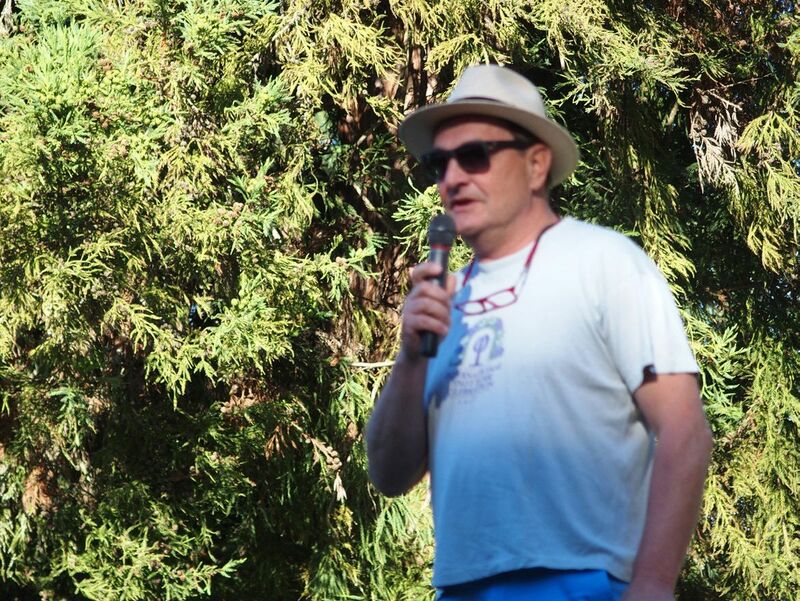 He moved to California in 1982 and made his way to Oregon by 1990, joining Torii Mor as head winemaker in 2004. Van Duzer Vineyards. Florent-Pierre Merlier is a native of Burgundy who found romance with Krista, an Oregonian, while the two were interning at the same winery in Burgundy. Florent obtained his Diploma of Viticulture from the University of Dijon before relocating to Oregon in 2009, becoming the winemaker at Van Duzer Vineyards in 2004. Winter’s Hill Vineyards Delphine Gladhart is a French born winemaker was working at Lemelson Winery in 2001 when she met future spouse Russell Gladhart whose family owned Winter’s Hill Vineyards in the Dundee Hills, and she became the winemaker there. The dates for next year’s 32nd Annual IPNC are July 27-29, 2018. If you want to join the IPNC mailing list and receive the e-newsletter, the IPNC Seasonal Post, contact IPNC at info@ipnc.org, or 503-472-8964, or IPNC PO Box 1310, McMinnville, OR 97128. 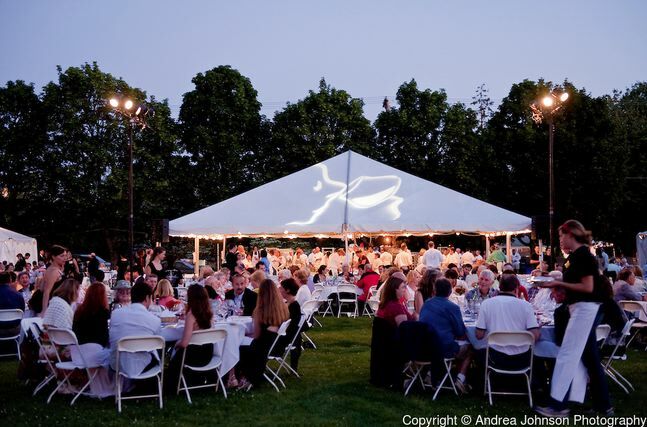 For further information about IPNC or to buy tickets for next year’s event, visit www.ipnc.org. Join the over 16,380 Pinot Noir lovers from around the world that have travelled to McMinnville for a weekend of drinking Pinot, eating, learning, and celebrating together in honor of Pinot Noir.